Background: Private Limited Company is the most common and popular business entity in India. 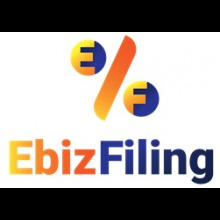 Director of Ebizfiling India Private Limited, Ravi Kariya explains how to register a Private Limited Company in India. The procedure of registering a Private Limited Company in India is a complete online process and most prevalent and popular. The three major bodies governing the registration of Private Limited Company are Ministry of Corporate Affairs, Companies Act, 2013 and the Companies Incorporation Rules, 2014. Let us first be clear what is Private Limited Company? One can in simple terms define it as a type of company with limited liability, legal protection and restricted share transfer to general public. To register a Private Limited Company, a person can be both a director and shareholder, while a corporate legal entity can only be a shareholder. Follow the simple steps to register your Private Limited Company. 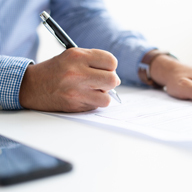 Digital signatures are required to file the forms for company formation. The registration process is online and the forms require a digital signature. DSC is mandatory for all subscribers and witnesses in the Memorandum and Articles of Association. You can get your DSC online in just two days from here. This is a Director Identification Number. It has to be obtained by anyone who wants to be a director in an Indian company. One DIN is sufficient to be a director in any number of companies. Reserve unique company name via Reserve Unique Name (RUN) form: In an attempt to ease procedures for new as well as existing companies, the Ministry of Corporate Affairs (MCA) has introduced RUN web service for the incorporation of a company. DSC and DIN shall not be required for filling of RUN form for reservation of name. With effect from 23 March, 2018, Ministry has decided to permit two proposed names and one re-submission while reserving Unique Names for the companies. The digital signature of a professional is required to file Form INC-32. The professional must certify that all the information given in the form is correct. The professional can be a chartered accountant, company secretary, cost accountant or advocate. e-MoA refers to an Electronic Memorandum of Association and eAoA is Electronic Articles of Association. 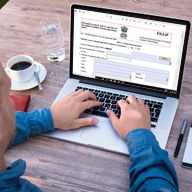 These forms have been introduced to simplify the process of company registration in India. Memorandum represents the charter of the company while Articles of Association contains the internal rules and regulations of the company. Earlier Memorandum of Association and Articles of Association were required to be filed physically but now these forms are filed online on MCA portal as a linked form with SPICe (INC-32). Both these forms must be digitally signed by subscribers to the Memorandum and Articles of Association. Through this single form SPICe, you can also apply for company’s Permanent Account Number (PAN) and Tax deduction and Collection Account Number (TAN). 1. What is the meaning of a Private Limited Company? A Private Limited Company, or LTD, is a type of privately held small business entity, in which owner liability is limited to their shares, the firm is limited to having 50 or fewer shareholders, and shares are prohibited from being publicly traded. A company becomes an independent legal structure when it incorporates. 2. What are the characteristics of a Private Limited Company? Members: To start a company, a minimum number of 2 members are required and a maximum number of 200 members as per the provisions of the Companies Act, 2013. Limited Liability: The liability of each member or shareholders is limited. 3. Which documents are required to register a company in India? 4. Can a single person start a Private Limited Company? Minimum two directors are required to incorporate a Private Limited Company. Companies Act, 2013, has introduced the concept of One Person Company (OPC) private limited, in which a single individual can start a Private Limited Company. Thus, if you plan to incorporate OPC, you can incorporate it with only one director. To explore business opportunities, link with me by clicking on the 'Connect' button on my eBiz Card.